Can you believe Mother’s Day is less than two weeks away? As a mom, I can’t even begin to tell you how much I look forward to celebrating that day with my little family. In addition to celebrating with my own family, we also spend time with my mom, my grandma and Jason’s mom that weekend. This year is extra special because I actually have some really close mom friends I want to celebrate with, too. All of us were pregnant at the same time, with due dates only weeks apart. (I was first!) Going through pregnancy together really makes your friendship so much closer. I mean, sure, when I wasn’t pregnant I could sympathize with a pregnant friend because I remembered enough of what they were going through… but actually going through it all together at the same time? #instantbondforever. Seriously, texting someone who is also pregnant is like having a conversation with a mind reader… in the best way. 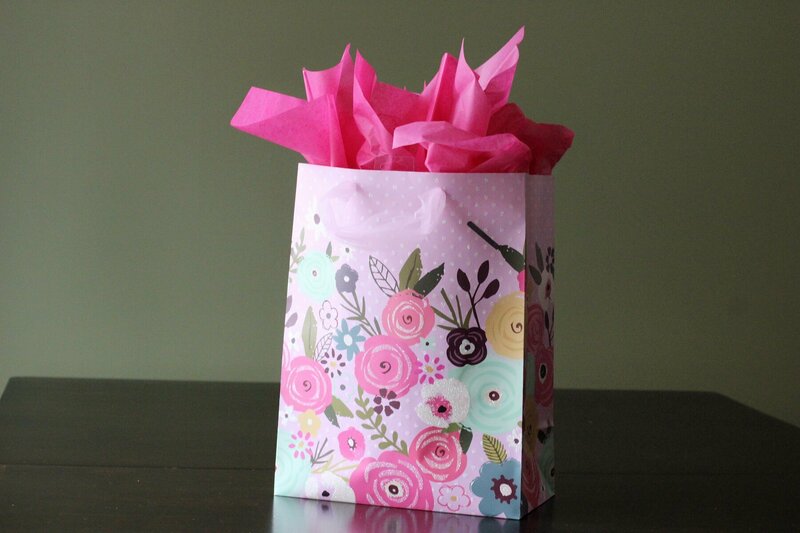 When it comes to Mother’s Day (and Father’s Day), I love sentimental gifts. Whether it’s something entirely homemade or something that’s been customized especially for the recipient. This year, I’m putting together little personalized “mama baskets” for each of my special pregnancy pals. 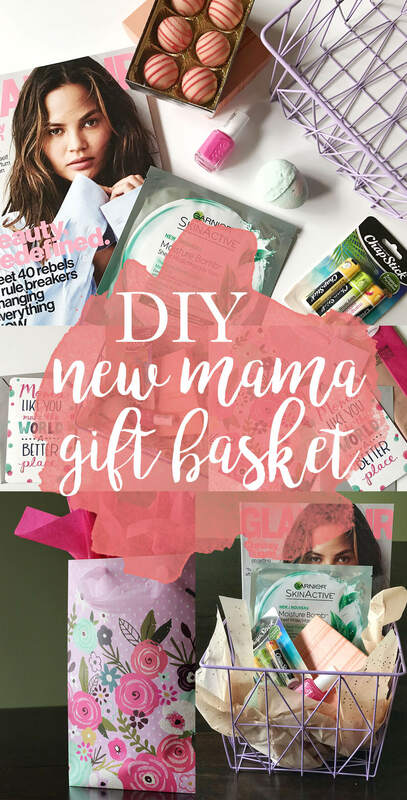 I started with some adorable baskets and then gathered things I thought would help remind a new mom to take a few minutes to pamper herself. Paper Face Mask: They’re 10000x faster to remove than a cream face mask – (new) moms don’t have time for that. Chaptstick x3: When you have 3, you can keep them stashed around the house. Nail Polish: It’s sandal season and it’s so hard to make free time to go get a pedi (or mani!) during those first few months – especially if you’re breastfeeding! Magazine: Good to flip through while she’s pumping or feeding her baby. 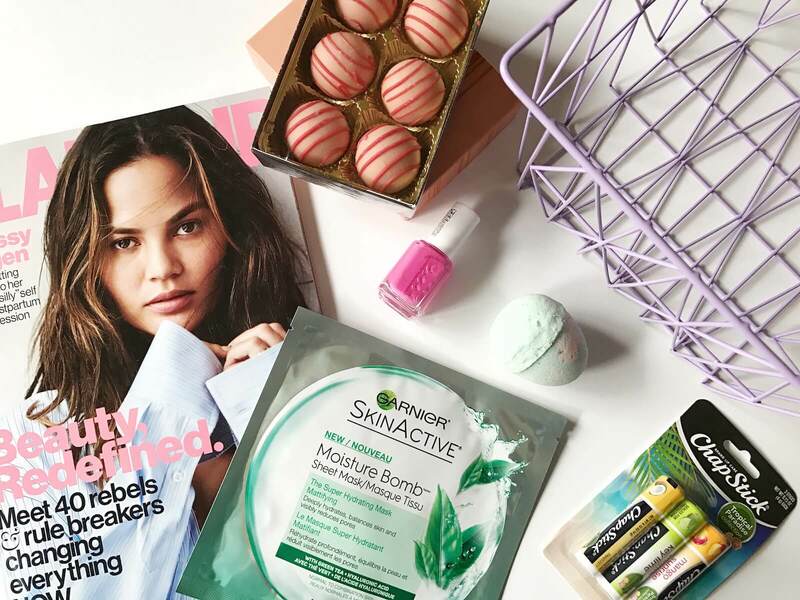 Bath Bomb: The perfect way to unwind after a relaxing Mother’s Day! 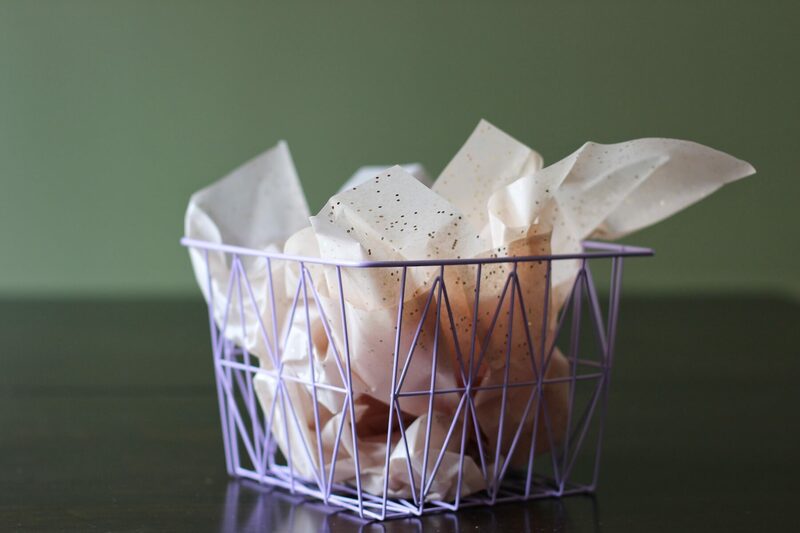 I started with the cute basket, and crinkled some of the tissue paper into the bottom of the basket. 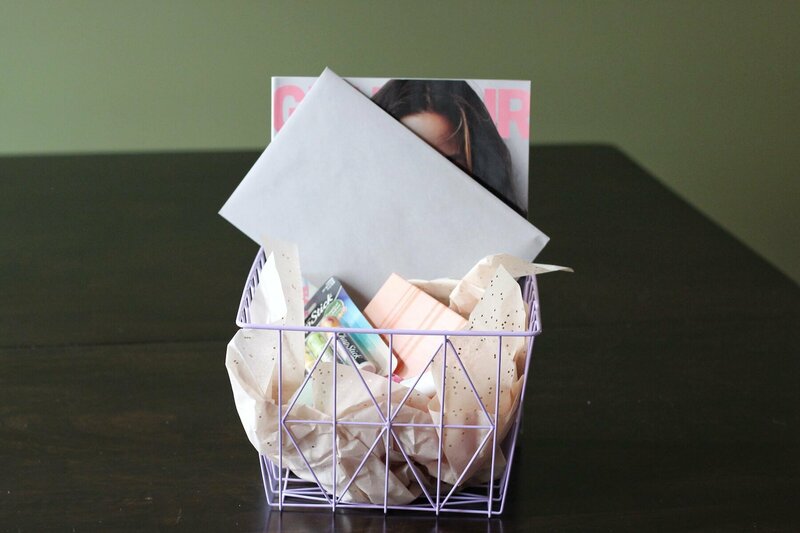 (I used two pieces to fill this basket) My main goal was to use the tissue paper to keep everything in the basket, but also to help display everything. Next I added in each of the items. Place your finished basket in the bag. Finish with tissue paper. What do you think, mamas? 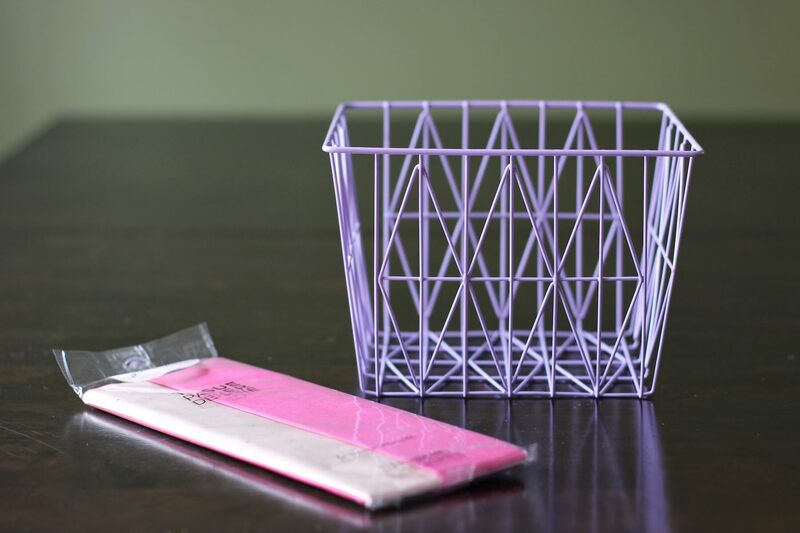 Would this basket give you a reason to pamper yourself a little bit? 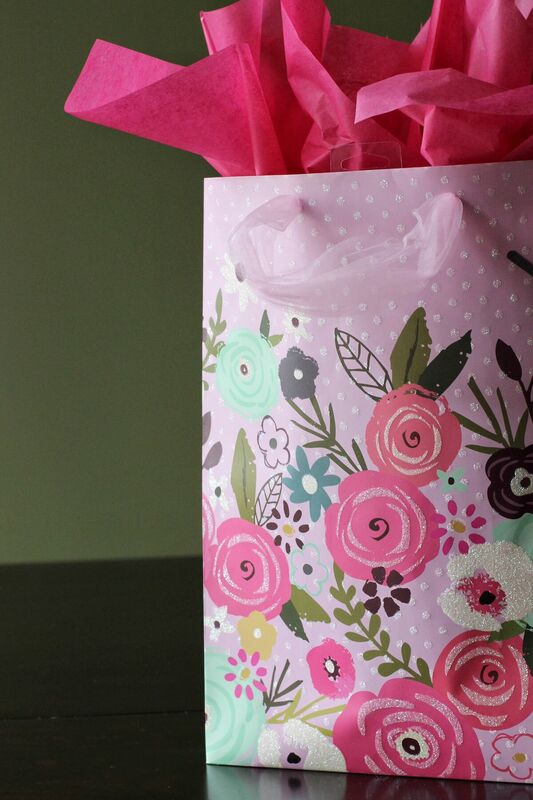 Also, isn’t that gift bag one of the prettiest things you’ve ever seen? 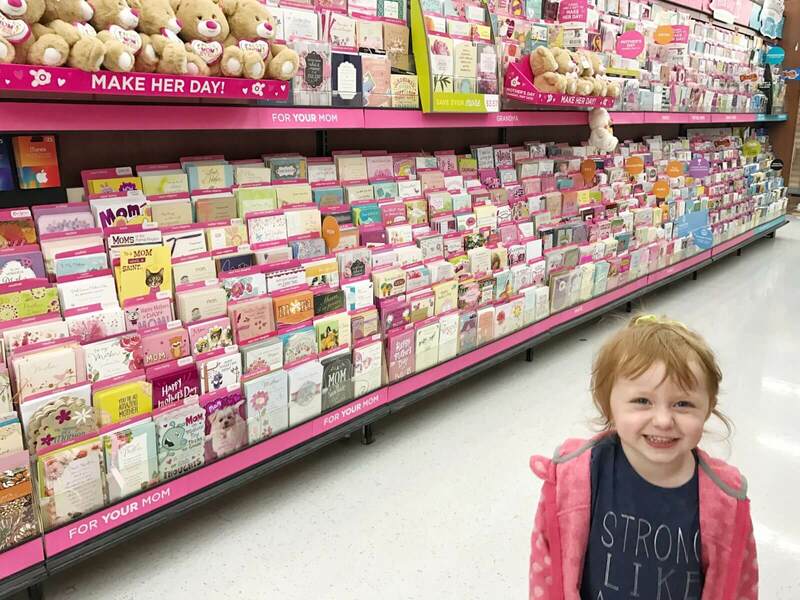 As you can tell, Blaire is obsessed with shopping for cards. It’s funny now because she “reads” the card based on what she thinks they’re about. She picked out about 10 cards she thought were perfect for me. I can’t wait to see what card she actually ends up getting me this year! It’s also a struggle to write a card to anyone when she’s around because she wants to trace her hand inside every. single. one. Ahhhh, the life of a toddler mom. 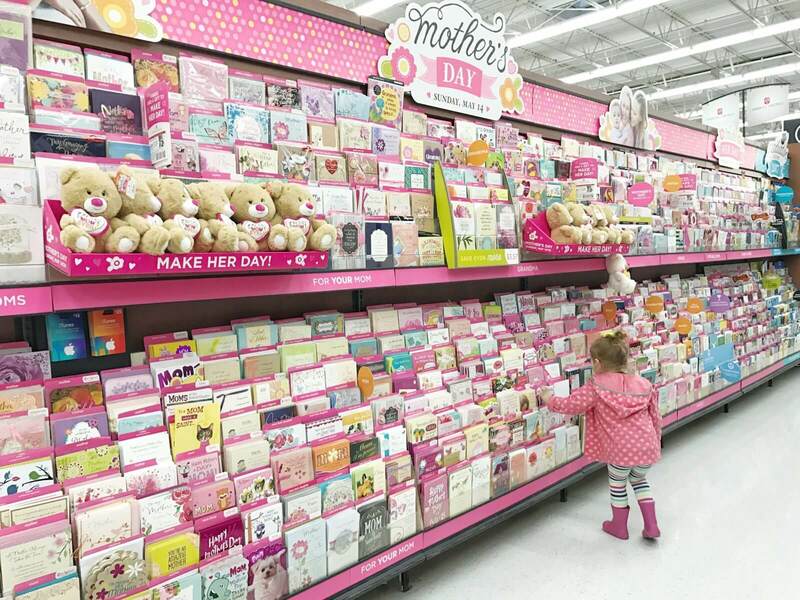 You can prep for Mother’s Day at Walmart, where they have everything you’ll need from American Greetings – cards, gift bags/wrap and tissue paper. 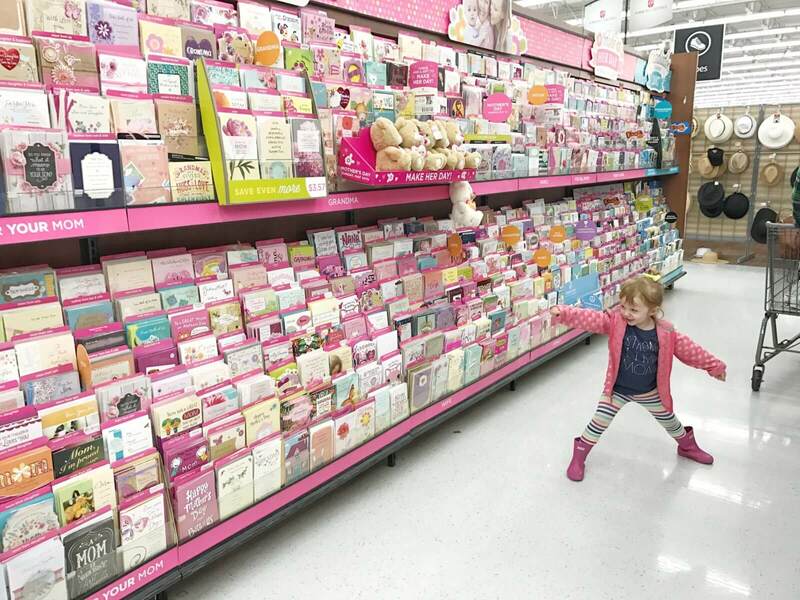 (You can find it all in the gift card aisle.) The best part? Save $2 on your American Greetings purchase (of $5 or more) with this coupon. Still need some Mother’s Day gifting inspiration? 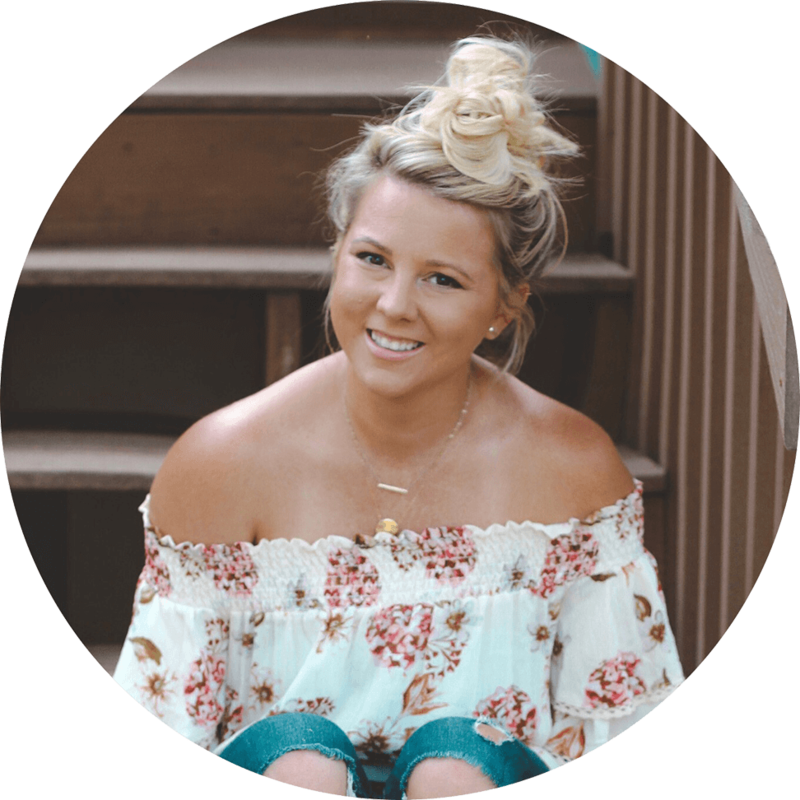 Check out the American Greeting Social Hub! Do you make homemade (or semi-homemade, like mine!) 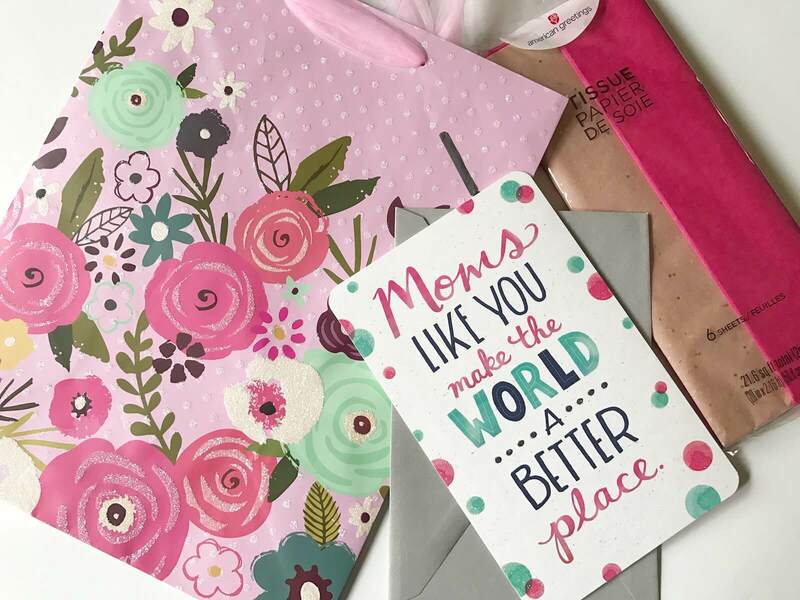 gifts for the moms in your life? It’s the thought that counts, right? 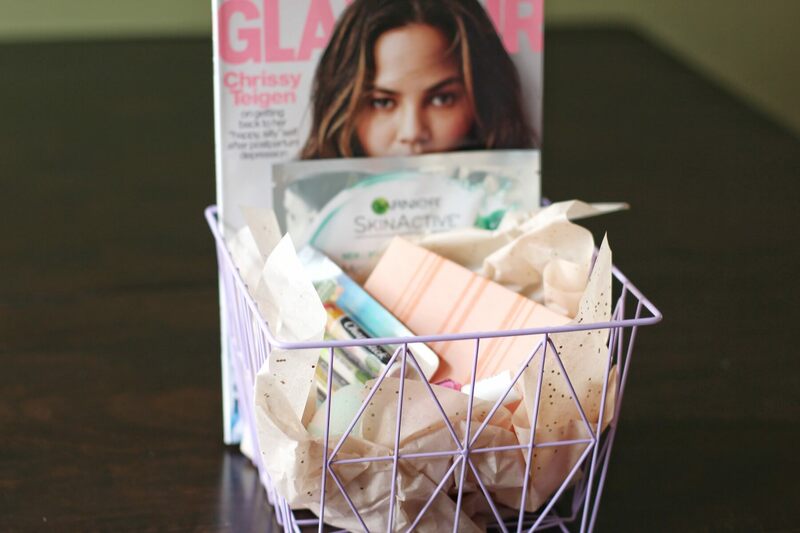 I love making gift baskets for different occasions! This one is perfect for the first time mama or even one that has been a mom forever! This is such a great idea!! I would’ve loved to receive this basket when I was pregnant! Can I just tag my husband in this and be like “Ummm YES!” LOL!?!? 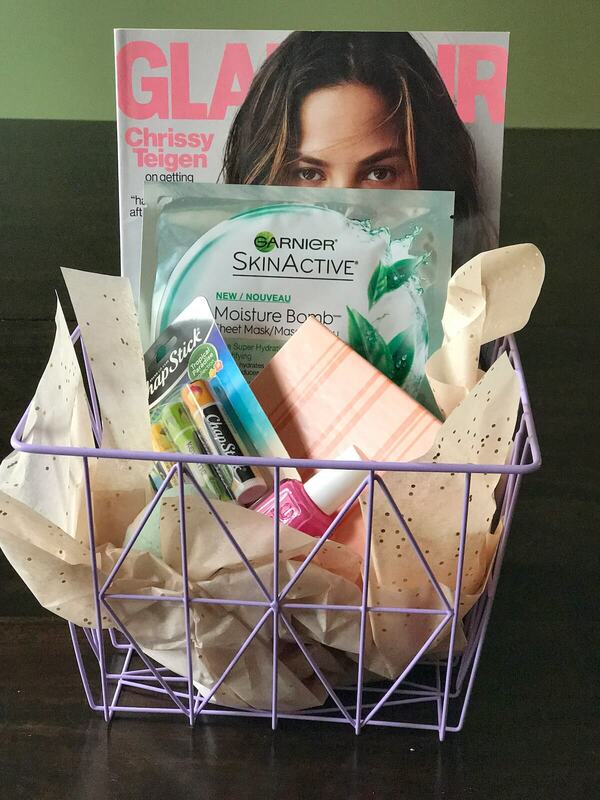 I love the idea of a mother’s day gift basket. I really like giving sentimental gifts too.